Inspiration was found in the traditional architecture of Zagorje region. Untouched nature on the site called for an unintrusive design which was found in the interpretation of the traditional cottage, straw covered house with basic spaces. The pre-existing traditional Zagorje cottage was in poor condition and was renovated taking into consideration local heritage and design. The house form is kept, while the porch is substituted with a glass cube, which is slided out of the main volume, simultaneously forming an entrance area. 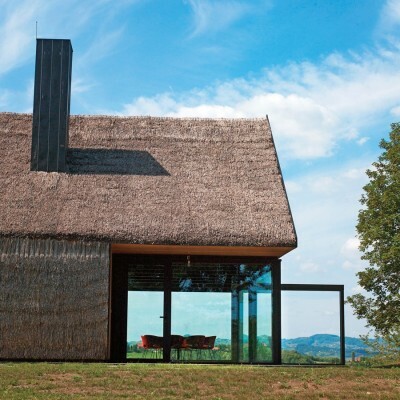 The innovative usage of straw,on both roof and walls, wooden plank bearing construction and an aluminum glass cube structure, makes this house a hommage to the culture and heritage of the Zagorje region. This single family house is designed for a weekend and holiday retreat of a large, many diffrent generations family. The project construction started in autumn 2010. and finished in summer 2012. in Kumrovec, Zagorje , Croatia. Used technology was basic and from local craftsmen. The straw covering on the roof is replaced with a new one and extended over the facade, while the gables are newly wood-lined. 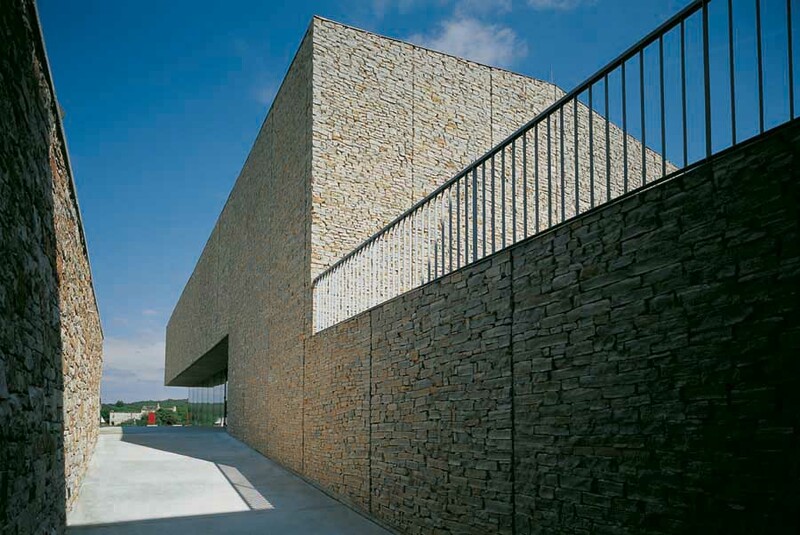 The existing stone piedestal is kept, while the newly designed terrace is layed with a wood planks. The entrance walkway is made of tree stumps.As such the cottage becomes ‘organic’, easily renovated from locally available resources, it breathes and changes with time, creating a healthy living environment. Research was based on history documents and field research. 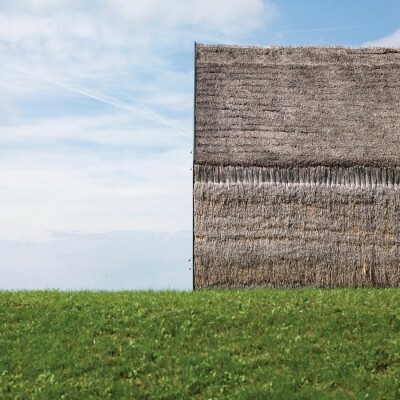 Documentation about traditional straw building methods was scarce so research was primarily based on locating some of still existing straw covered houses. The hardest part was finding the craftsmen who could lay down the straw roof and the straw facade in a traditional way but with up-to-date details, like the crossing from the roof to the vertical facade. Hiza-Contemporary Cottage Single Family Holiday House by Proarh is Winner in Architecture, Building and Structure Design Category, 2014-15. Proarh is an Architectural office founded in 1992. with its headquarters in Zagreb. Under the leadership of its founder and principal Architect Davor Mateković, Proarh is evolving into a multidisciplinary workshop which, from its begginnings, has undertaken projects of a variety of functions, typologies, programmes and spatial dimensions. 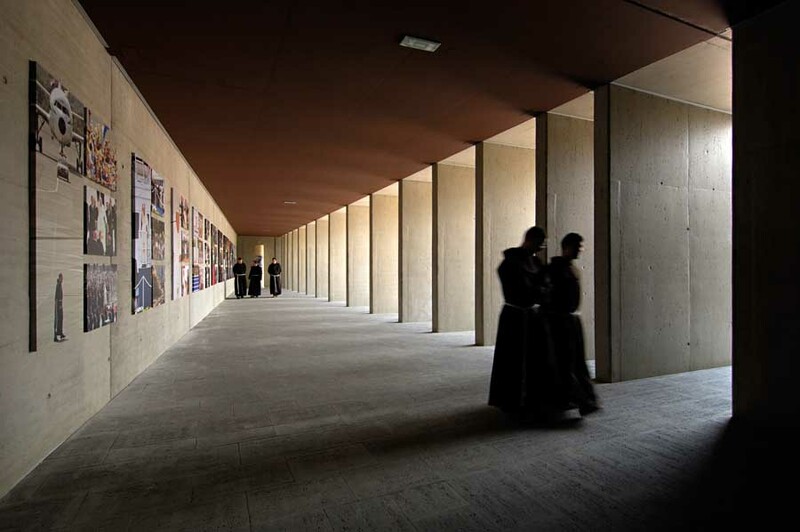 Architecture is approached as a heterogeneous substance, where all its elements are independent and formative. The design process is all-encompassing and it includes not only solving the functional requirements (programme, construction, location, legislative) but also implementation of a core idea, as something that gives added value to each project. Valuable experience was acquired through cutthroat marketplace conditions, and Proarh’s competitiveness and professionalism makes us one of the leading architectural offices in Croatia. The work of experienced teams of architects and the expertise of high level consultants have resulted with numerous successful projects and finished work of the widest spectrum. Proarh’s innovative ideas have also been recognized outside of the croatian architectural scene and its projects have been nominated and awarded with various worldrenowned architectural prizes, as well as published in notable international and domestic architectural magazines. Main creative drive has always been the dynamic nature of the design process, the challenge of new projects and the constructive interaction with the clients. All these elements combined contribute to quality of work and make Proarh an important part of Croatia’s architectural scene. The lot has an area of aproximately 3685m2, and the house itself 230m2. The cottage consists of three floors: the basement, ground floor and 1st floor, which is comprised of the essential living spaces- leisure/dining/cooking on groundfloor and sleeping areas on the 1st floor. Groundfloor spaces are then arranged following a traditional system of organisation that creates a common zone with ‘hearth’ . The straw covering on the roof is replaced with a new one and extended over the facade, while the gables are newly wood-lined. The entrance walkway is made of tree stumps. 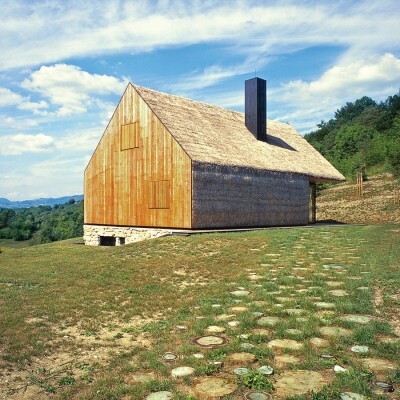 The existing stone piedestal is kept, while the newly designed terrace is layed with a wooden floor from where it opens up to an impressive Zagorje landscape. The usage of organic materials characteristical of traditional construction is a hommage to the wealth of culture and heritage of the Zagorje, while at the same time it contributes to the sustainability in contemporary architecture. As such the cottage becomes ‘organic’, easily renovated from locally available resources and workmanship, it breathes and changes with time, creating a healthy living environment.